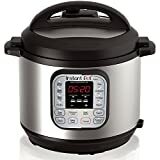 Instant Pots are the most popular pressure cookers in the world right now, and pretty much everyone knows about them at this point. But there’s one Instant Pot model that you might not have ever heard of before, and we’re about to change that. 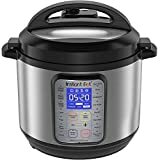 The Instant Pot Smart WiFi 6 Quart Electric Pressure Cooker is Instant Pot’s only Wi-Fi-enabled pressure cooker, allowing you to link up with an app on your iPhone or Android to control your cooks. It’s awesome but pricey, and it almost never goes on sale… until now. Amazon is offering a rare (and huge!) 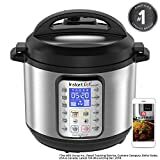 discount for Cyber Monday, and since discounts on this awesome connected pressure cooker are so rare, there’s a good chance it’ll sell out. Grab one while you can!